Conservationists at the Whydah Pirate Museum said they found skeletal remains from the pirate ship Whydah Gally inside a mass of hardened sand and stone pulled from the wreck site near Wellfleet. Forget about pirate gold and silver. Researchers announced Wednesday they found real treasure: clues pulled from an 18th century shipwreck near Wellfleet that could reveal the fate of a legendary pirate captain. 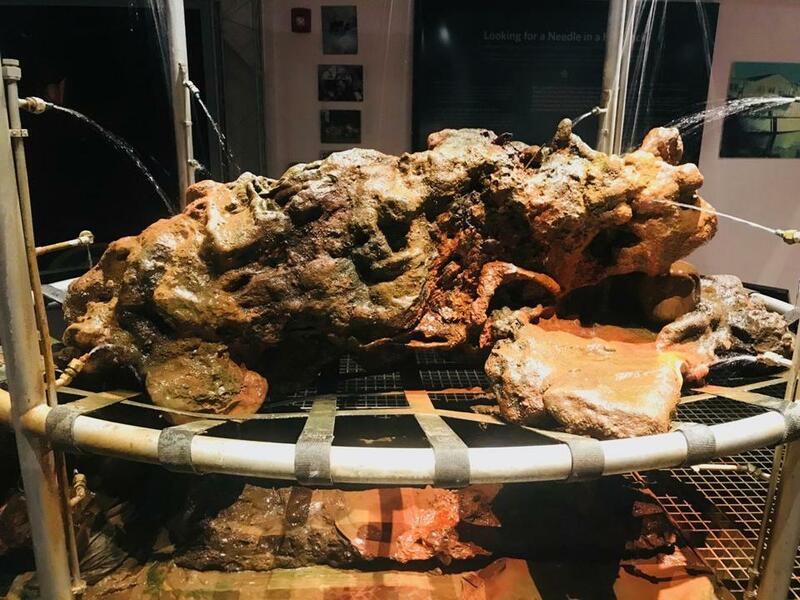 At the Whydah Pirate Museum in West Yarmouth, conservationists in November found part of the skeletal remains of a crew member of the Whydah Gally, a pirate ship that sank during a fierce nor’easter in 1717, said Chris Macort, an archeologist and director of the museum’s ship exhibit. And there’s a chance these remains could be of pirate captain Samuel “Black Sam” Bellamy, an English sailor who had lived in Wellfleet, Macort said. Now Casey Sherman, who is creating a movie about finding the wreck, said he is helping the museum coordinate with forensic experts at the University of New Haven to compare DNA found in the remains with that of a known descendant of Bellamy living in England. In a short, but successful, career, the Whydah Gally raided 54 ships along the eastern coast and in the Caribbean in 1716 and 1717, all under the command of Bellamy. In 2008, Forbes reported Bellamy had collected the equivalent of $120 million in wealth during his time as a pirate. The bones will be displayed during a Feb. 19 press conference at the museum, Sherman said. The ship was originally built to carry slaves, and was armed with at least 60 cannons when it sank. Many of those weapons were found still fully loaded, he said. When the ship went down, it took with it about four tons of pilfered silver and gold, and all but two of the 142-member crew, including Bellamy. 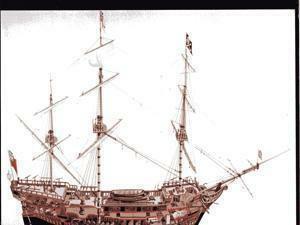 It’s the only pirate ship found anywhere with its stolen treasure, said Macort. Experts have been trying to recover artifacts from the wreck since it was discovered by Barry Clifford and his diving team in 1984, said Macort. The museum opened its own doors in 2016 and allows visitors to watch conservationists at work, said Macort. Clifford has recovered millions of dollars worth of treasure from the wreck site, according to Sherman’s statement. The human remains, plus what appear to be a pistol, cuff links, a belt, and other personal items, were encased in a 3,500-pound concretion -- essentially a mass of hardened sand and stone -- pulled from the wreck site several years ago. The concretion protected everything inside it over the centuries, until conservations recently began removing the material and discovered the bones, said Macort. Sherman said even if the remains are not those of Bellamy, he expects they will be interred. “This pirate has been at sea for 300 years. This is an opportunity to bring him home,” said Sherman in an interview. This is the second time researchers found human remains; in the early 1990s, a bone was found in the wreck they believed belonged to a young boy said to have sailed with Bellamy’s pirates, said Macort. “That was an incredible story no one knew about until we recovered his remains,” said Macort. The wreck site itself isn’t far from Cape Cod, but what’s left of the ship is under 20 feet of water, and another 20 feet of sand, he said, plus the spot is frequented by great white sharks. Archeologists visit every summer to recover more relics from the ship, and Macort expects they have years’ worth of work ahead of them.